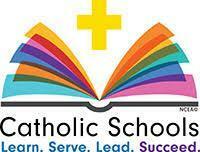 Please come and join us at our 9 AM Mass as we celebrate the kick off of Catholic Schools Week! Our Open House is from 10 AM to 2:00 PM! Applications for the 2019-2020 School Year will be available in the school office. Come and meet our teachers and see what amazing things and projects our children have been learning and doing! Hope to see you here! Thank you.